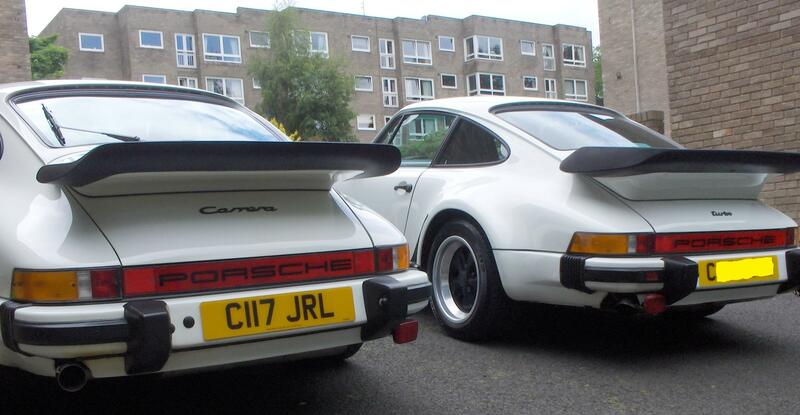 I couldn't resist this photo opportunity - my '86 3.2 parked alongside an '86 turbo. The turbo is an amazing car with only 9k miles on the clock! The owner spends a lot of time abroad. 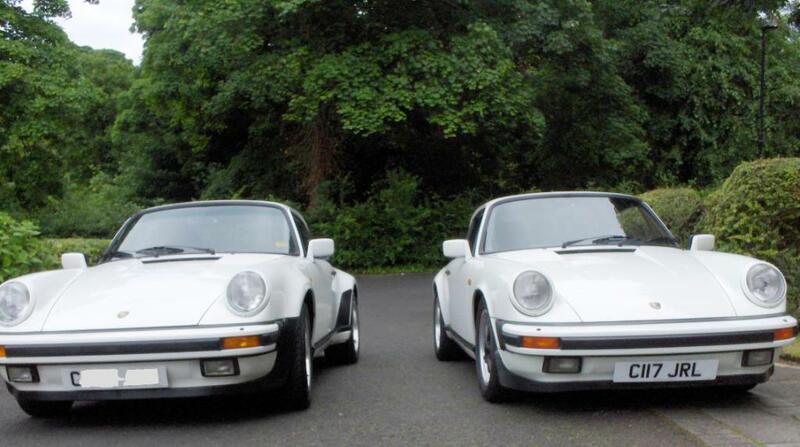 Note the dramatic difference in the wheel arches. Thanks HSC911, the pictures don't really do the turbo justice. As they are both Grand Prix white cars and the daylight factor was high, any photo kind of misses the full aspect of the body curves. In the flesh, the turbo really works in this colour. It is stunning. Being such a silly low mileage car, the 'newness' of the rubbers and other non-painted surfaces really stand out. It had just been detailled but some paint correction would take this car into the very top catagory. I shudder to think what price ticket it would wear if it was being retailled by a top dealer! Steady Keith....you're not thinking of buying another one are you?? Even selling a kidney would leave me well short of a realistic price for this car. With only 9k miles from new, it would be well over £150k of anyone's money. An exceptional car.... Good job it's not for sale! 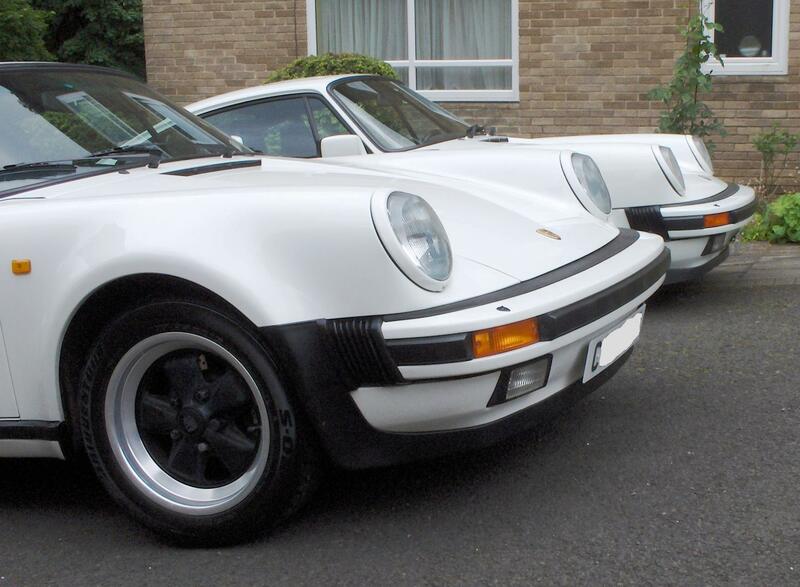 Very nice.I prefer the narrow body IB cars although I must say a 930 is a captivating drive if a little tiring. Great photo's Keith. You didn't accidentally take the wrong one home? kas750 - I know what you mean kas. 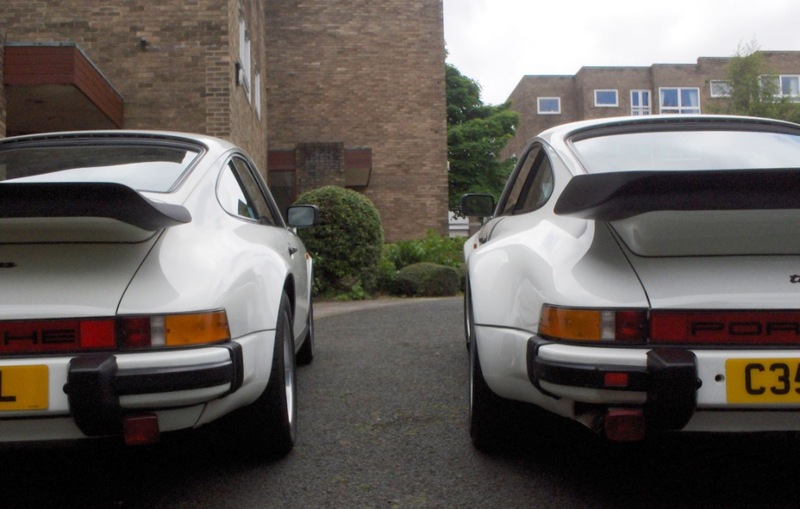 I always felt the supersport and turbo cars were 'vulgar' with their really wide arches. However, this is the first grand prix white turbo car I've seen and it just seems to work? The rarity and uber low mileage make this one very special. Johnd52 - No risk there John, I wasn't able to drive the car. Happy to have had the photo opportunity. As a confirmed luddite, I was also pleased to have used paintbrush for the first time in order to hide the turbo number plates.